Cathy Scarlet and Tom Feather have decided to create the best catering company in Dublin. They have the perfect premises, heaps of talent, and even a few contacts - but not everyone seems as pleased by the idea of 'Scarlet Feather' as they are. Tom's parents are disappointed that he has turned his back on the family business. Cathy's husband buries himself in work, becoming ever more distant, whilst his mother thinks Cathy should stay at home to look after him. And Tom's relationship with his beautiful, ambitious girlfriend becomes fraught as she struggles to realise her dream of becoming a model. 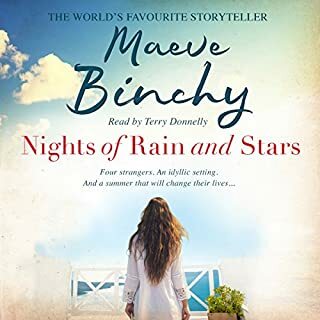 As Cathy and Tom strive to maintain their emotional ties amidst catering triumphs and disasters they are supported - and undermined - by an enchanting cast of classic Binchy characters. i love this author. book was interesting to listen to and narrator made it seem like there was a cast of thousands. 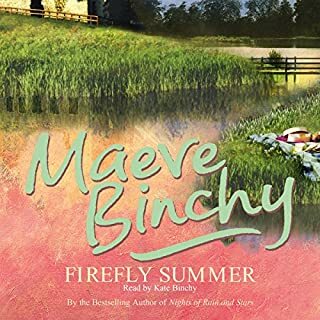 An always brilliant performance by Kate as she always makes you feel like you are listening to a huge cast matches only by Maeve's talent at creating characters, settings and stories. What can you say? 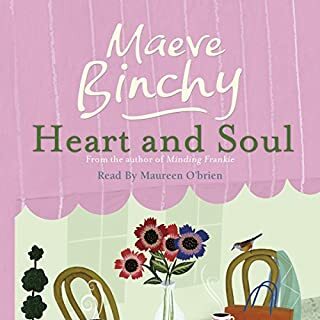 Maeve Binchy tells stories that draw you in and have you loving and hating the characters. I love her books. Scarlet Feather is one of my favourite Bunchy novels, and this reading does it full justice. Simon and Maud in particular tug at the heart strings, and this is a great story about how life doesn’t turn out the way you think it will, but sometimes for the best anyway. 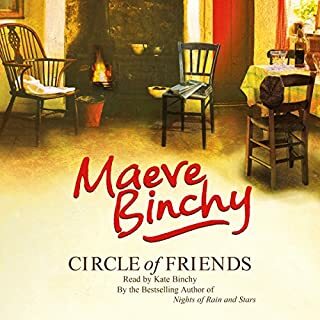 This book has some profound things to say about the nature of family, but in typical Maeve fashion it’s done with a lightness of touch that draws you in and makes you laugh even as you’re raging against the world’s injustice. 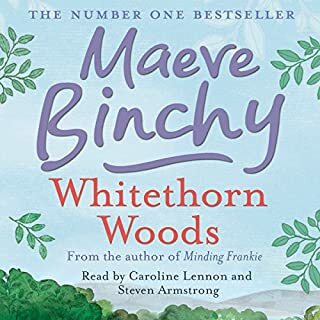 Highly recommend for anyone who wants a great story full of true Irish characters... Muttie Scarlet is a particular favourite of mine! Would you consider the audio edition of Scarlet Feather to be better than the print version? I've not read the hard copy of Scarlet Feather, however, I've listened to enough audio books and read enough hard copies to know sometimes you need to do both. I don't feel compelled to buy the book in this case. 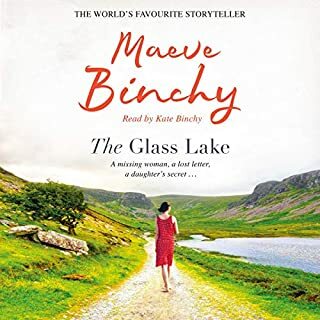 Kate Binchy does an exquisite job changing voices and scenes as if it were coming to life before your eyes. 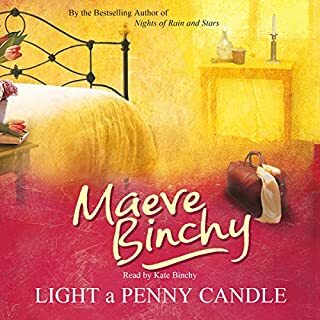 Maeve Binchy's smooth style of transition into the next scene makes you feel as though you were teleported from home to home & scene to scene. The emotions she evokes-fear, anger, joy, etc, makes you feel as if you are in each character's skin. What other book might you compare Scarlet Feather to and why? Tara Road is the only other book of her's that I've read. I'm on to Quentin's next. 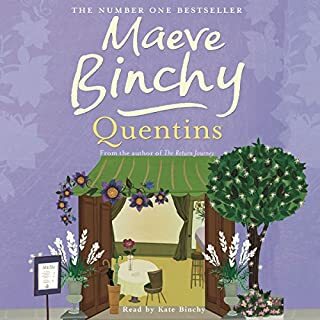 Have you listened to any of Kate Binchy’s other performances before? How does this one compare? 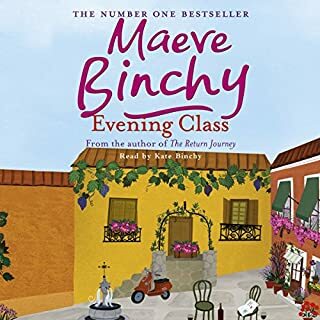 The world's that Maeve Binchy creates aren't perfect worlds, but they're worlds in which you want to escape. They offer you alternatives to situations within your own life. A good yarn brilliantly narrated. A wonderful portrayal of Irish life in busy Dublin with a poignant yet humorous touch. I was listening every spare moment! Narrator is truly excellent! 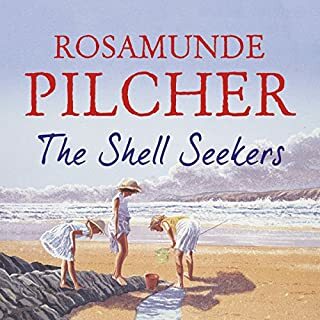 I had previously read this book and had enjoyed it but listening to the audible book has brought the characters to life. I laughed out loud at some of the narrative. A very well written book that pulls at the heart strings and makes you fall in love with (most of) the characters. I loved every part of this book. Sadly it's so mor wish that it's over too quickly! 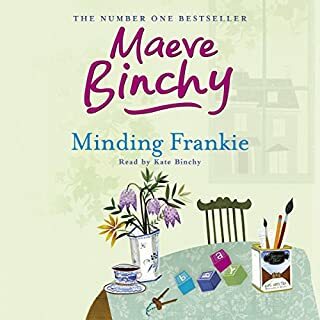 Love the narration and love the gentle and kind plots and sub plots. You come away feeling a better person... And wanting to live in Ireland! 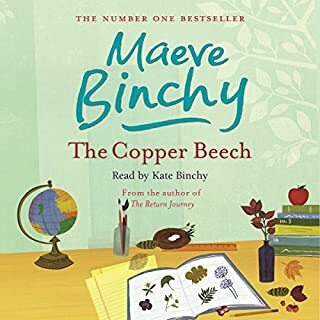 I read this book when it first came out, after listening to another Maeve Binchy book I knew I wanted to go back and listen to story, the narrator is superb, I worry she has spoils me for any other narrators! She really brings the characters to life. The story is real and very touching. I do,wish I had more on what happened to all,of them but I always think thats the mark of a good book, you believe they are real and want to know what happens in their lives! What was one of the most memorable moments of Scarlet Feather? 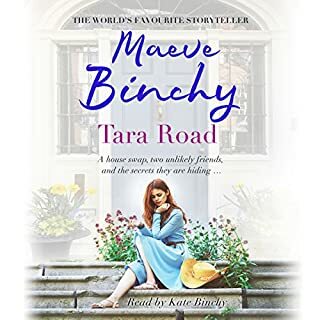 What does Kate Binchy bring to the story that you wouldn’t experience if you had only read the book? Everything, I have read the book and Kate's reading of it just brings it all to life. She is one of the best narrators I've had the pleasure to listen too. She makes the books so much richer in her telling of the story, brings an intamacy to the characters. I couldn't recommend her more! No because it's an enjoyable read, the story flows beautifully, like talking with friends or family, you become part of it. 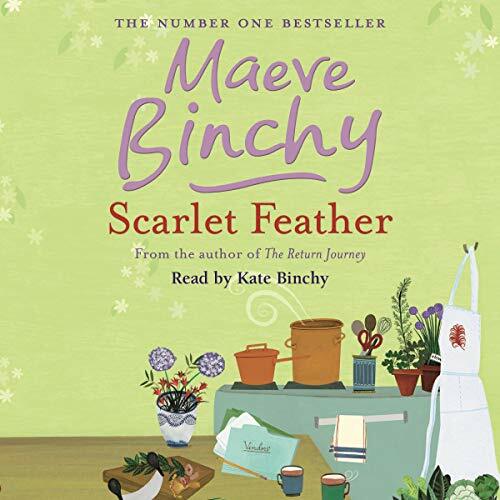 Where does Scarlet Feather rank among all the audiobooks you’ve listened to so far? The book is a comforting book to go to sleep to, with the appearance of old friends. 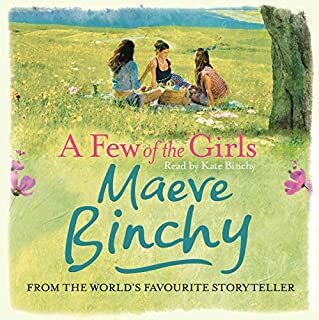 You soon know your way round Binchy's Dublin and the people who live there. 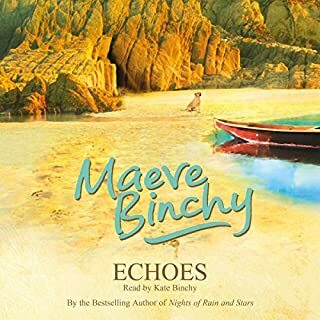 Kate Binchey's performance brings the characters to life and softly lulls you to sleep. The book is warm and cosy only mild drama here. 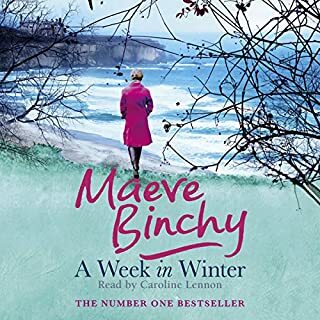 If you need something to lull you to sleep, a book that takes your mind off the troubles of the day, this is a good listen. What did you like most about Scarlet Feather? The characters, particually the children! there wasn't one I enjoyed the whole book, fast paced and well read. 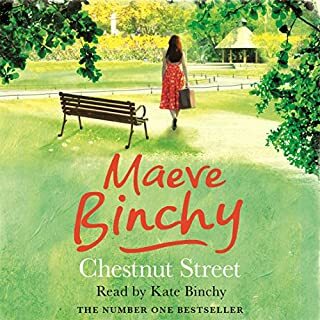 Kate has a lovely reading voice which makes her easy to listen to. More books with the children please. 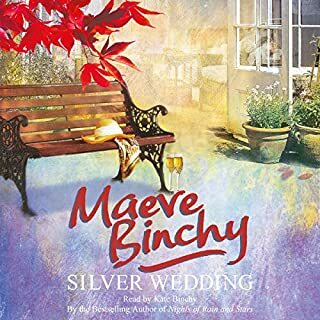 Yet another Maeve Binchy classic!